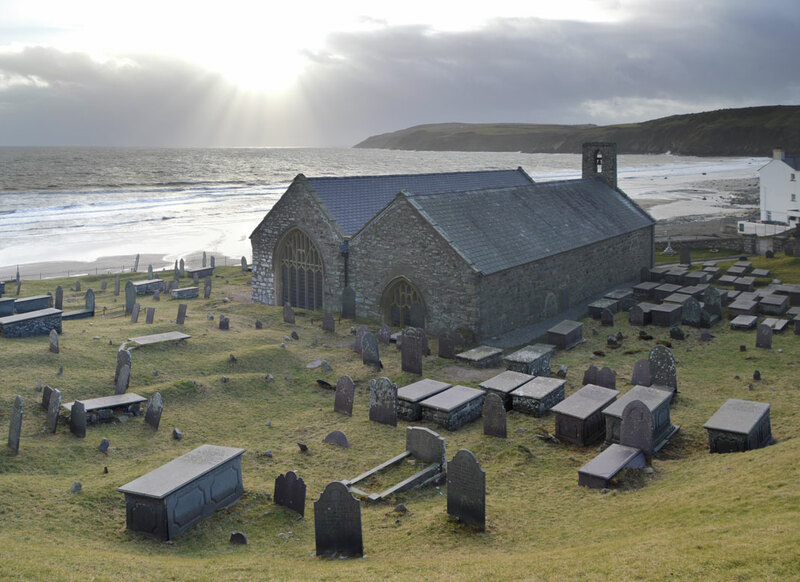 Aberdaron is a large parish forming the S.W. end of the Lleyn peninsula. It is mostly low-lying, divided into enclosed fields,but a range of uncultivated hills, rising to about 600 ft., follows the N.W. coast. The principal monuments are the old parish church (No. 1456), the house Bodwrda (No. 1461), the small hillfort of Castell Odo (No. 1472), and the inscribed stones (No. 1479) now at Cefnamwlch.